Those of us that love our dogs really love our dogs. 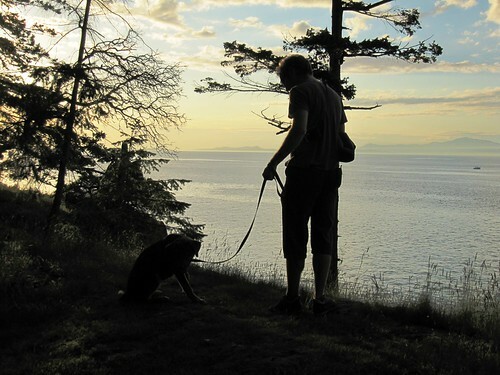 British Columbia is an active and lively place to live and, for most of us, that means that wherever we go, our canine companions come with us. Despite his adventurous attitude, I can’t deny that sometimes Jordy ends up a little on spoiled side. More often than not, that involves new toys and tasty treats. When it’s time for either, we always end up at Bow Wow Haus. Initially opening its doors in Gastown, BWH has quickly become a staple of Vancouver’s West End (but I definitely see a market for their boutique in Victoria or Nanaimo). Think of it as a candy store for dogs, offering some of the finest and healthiest snacks and treats, puzzle toys, squeakers, sweaters and so much more than you can imagine. I’ll announce the winner on the morning of Tuesday, October 12th and will ship the gift basket anywhere on Vancouver Island or within Greater Vancouver. Good luck! You can find Bow Wow Haus online and on Twitter. ← Were You Raised A Reader? Hey Keira, its always a pleasure reading your blog, although it makes me long for home a little too much. My furry friend is Soren. He is a 4 year old yellow lab and his favorite place in the WHOLE world is Tofino. Miles of beaches and nobody gives a rip if he isn’t on a leash! There’s so much to say about my furry friend, but let’s start with an introduction: His Name is Grizzly and he’s a 2 year old Samoyed. He’s such a wonderful dog. You can take him anywhere, and he’ll enjoy it. The only downside is that he has a very weak immunity system and on top of that he’s allergic to different sorts of food. The fact that there’s more specialized pet stores definitely makes our life easier! They do indeed have healthy treat / food for every kind of diet. We’ve spend lots of time at the vet, and even though he sometimes suffers, he’ll always be a “smiley dog”. He’s part of our family and makes our lives so much more enjoyable! You know Georgie … he’s spoiled, he’s stubborn, he’s stinky … but I could not imagine my life without him. We just adopted a 3 month old puppy a month ago. In fact, this puppy came all the way from the Arctic where our friend found her starving on someone’s driveway. She was abandoned by her previous owners. Our friend then flew back to Vancouver with the puppy where we took her in. She’s super cute and energetic. We are loving every minute with her. She’s super smart and has learned a lot of tricks . We look forward to growing with her as part of our family. My little guy’s name is Oliver, or Ollie as he likes to be called. He’s a 13 week old Cairn Terrier puppy, and he is known on the streets by “That’s the cutest dog I’ve ever seen”. He’s very curious and adventurous, sticking his nose anywhere he can and jumping off any couch, or coffee table just for the thrills. Ollie is one of the most affectionate dogs I’ve ever seen. He’s always willing to meet someone new on the street, play with another dog, or give enough kisses to make you fall in love with him. Ollie has quickly become of my life and I can’t wait to share the rest of it with him. My furry friend is Charlie. He is a yellow lab, and completely crazy. He loves belly rubs, being outside, and the company of others. He’s 6+ years old but still acts like a puppy. My dog Tyra is a border Collie, she will be 14 in December. She may be old, but the great thing about her is she still acts like my puppy. She loves her belly rubs and smiles all the time. She can still run around and play with my brothers 3 year old golden retriever. When you take her to the beach, she is like a whole new dog, she runs for ever with the tide out and chases birds, she has a great time. I love my dog Tyra. I have 2 monsterpups: Wolfgang, a miniature schnauzer yorkie cross who just turned 2 and Stella, a beagle pug cross who will turn 3 in a few weeks. My little guy is Nibs. He’s a 7 year old chocolate and tan dapple mini dachshund (look up his coloring, ADORABLE!! lol) Last Hallowe’en he became paralyzed from disc disease but with help from my family I was able to get him in for surgery that saved his ability to walk. He’s my little miracle pup and I’d be lost without him! He is currently keeping me sane as I start my first year of a 4 year nursing degree.